SCENT: Jasmine Grandiflorum has a smooth, extremely intense floral smell that is both sweet and lingering. 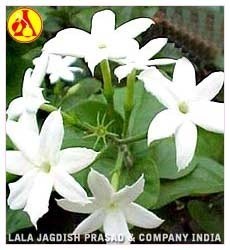 USES: Jasmine Grandiflorum is well respected for its properties. It is a sensual, soothing, calming oil that promotes love and peace.Jasmine Grandiflorum is a beautiful plant; its flowers bloom in the early dawn as opposed to Jasmine Sambac that blooms in the evening. 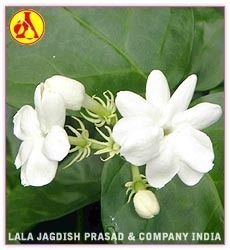 USES: Jasmine Grandiflorum is well respected for its aphrodisiac properties. It is a sensual, soothing, calming oil that promotes love and peace. Jasmine auriculatum absolute has a beautiful, rich, floral aroma that is irresistible. Jasmine absolute is used to treat depression, insomnia, nervous tension and infertility. Its aroma is soothing and calming and can bring about a restful state to those who are suffering from emotional trauma. Jasmine absolute is said to act as an . Dilute the absolute in jojoba and use the diluted blend to fragrance your most special and most sensual formulations. Sold by weight. Shelf Life: 1 YearJasmine auriculatum absolute has a beautiful, rich, floral aroma that is irresistible. 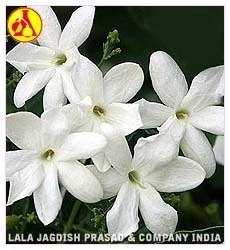 Jasmine absolute is used to treat depression, insomnia, nervous tension and infertility. Its aroma is soothing and calming and can bring about a restful state to those who are suffering from emotional trauma. Jasmine absolute is said to act as an aphrodisiac. Dilute the absolute in jojoba and use the diluted blend to fragrance your most special and most sensual formulations. Sold by weight. The reddish brown liquid of the absolute is derived through solvent extraction of flowers of Jasminum sambac. It has a beguiling-floral, sensuous and relaxing fragrance slightly different than jasmine grandiflorum. Jasmine Sambac Absolute is excellent to be used in a diffuser, in natural perfumes, body oils or in a sensuous aroma bath oil. Packing : Food Grade Silver Coated Alumunium Bottels And As Per Client Requirements.The reddish brown liquid of the absolute is derived through solvent extraction of flowers of Jasminum sambac. It has a beguiling-floral, sensuous and relaxing fragrance slightly different than jasmine grandiflorum. Jasmine Sambac Absolute is excellent to be used in a diffuser, in natural perfumes, body oils or in a sensuous aroma bath oil. Kewra flowers have a sweet fragrance with a pleasant quality similar to rose flowers, but kewra is more fruity. The watery distillate (kewra water, pandanus flower water) is quite diluted. it can easily be handled and can even be poured using a teaspoon. 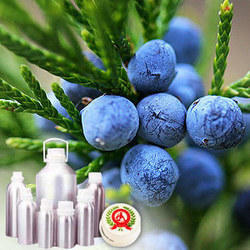 Our Kewra Absolute are widely used in in perfumes as well as for variety of food flavour preparations. Labdanum also known as the Gum Rockrose (Cistus ladanifer) is a species of flowering plant in the family Cistaceae. It is a native of the western Mediterranean region, growing wild from southern France to Portugal and in north-west Africa. It is a shrub growing 1-2.5 m tall and wide. The leaves are evergreen, lanceolate, 3-10 cm long and 1-2 cm broad, dark green above and paler underneath. The flowers are 5-8 cm diameter, with 5 papery white petals, usually with a red to maroon spot at the base, surrounding the yellow stamens and pistils. The whole plant is covered with the sticky exudate of fragrant resin. Cistus essential oil is mostly produced in Spain. Botanical Name : Cistus ladanifer L.
Synonyms: Cistus, gum cistus, ciste, cyste, ambreine, european rock rose.Labdanum also known as the Gum Rockrose (Cistus ladanifer) is a species of flowering plant in the family Cistaceae. It is a native of the western Mediterranean region, growing wild from southern France to Portugal and in north-west Africa. It is a shrub growing 1-2.5 m tall and wide. The leaves are evergreen, lanceolate, 3-10 cm long and 1-2 cm broad, dark green above and paler underneath. The flowers are 5-8 cm diameter, with 5 papery white petals, usually with a red to maroon spot at the base, surrounding the yellow stamens and pistils. The whole plant is covered with the sticky exudate of fragrant resin. Cistus essential oil is mostly produced in Spain. Synonyms: Cistus, gum cistus, ciste, cyste, ambreine, european rock rose. Lavender is credited with being an analgesic, anticonvulsive, antidepressant, antiphlogistic, antirheumatic, antseptic, antispasmodic, antiviral, bactericide, carminative, cholagogue, cicatrisant, cordial, cytophylactic, decongestant, deodorant, and as a diuretic. Herbalist regards Lavender as the most useful and versatile essential oil for therapeutic purposes. Lavender is the essential oil most commonly associated with burns and healing of the skin. It also has antiseptic and analgesic properties which will ease the pain of a burn and prevent infection. It also has cytophylactic properties that promote rapid healing and help reduce scarring. Lavender French is a popular choice amongst both aromatherapists and massage therapists for it’s combination of therapeutic quality and pleasant floral scent. Lavender absolute's fine compatibility with most other oils also makes it a popular component in perfumery & cosmetics items. Scent: Very sweet, slightly herbaceous, and floral scent. 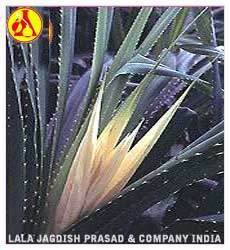 Parts Used: FlowersLavender is credited with being an analgesic, anticonvulsive, antidepressant, antiphlogistic, antirheumatic, antseptic, antispasmodic, antiviral, bactericide, carminative, cholagogue, cicatrisant, cordial, cytophylactic, decongestant, deodorant, and as a diuretic. Herbalist regards Lavender as the most useful and versatile essential oil for therapeutic purposes. Lavender is the essential oil most commonly associated with burns and healing of the skin. It also has antiseptic and analgesic properties which will ease the pain of a burn and prevent infection. It also has cytophylactic properties that promote rapid healing and help reduce scarring. Lavender French is a popular choice amongst both aromatherapists and massage therapists for its combination of therapeutic quality and pleasant floral scent. Lavender absolute's fine compatibility with most other oils also makes it a popular component in perfumery & cosmetics items. Lavender Green has been recognized as the most useful oil, with variegated uses in therapies. This essential oil is also used as an anticonvulsive, antiphlogistic, antidepressant, antispasmodic, antirheumatic, antseptic, bactericide, carminative, antiviral, cholagogue, cicatrisant, cytophylactic, cordial, decongestant, diuretic and deodorant. 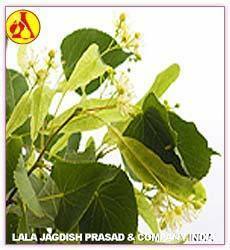 It is antiseptic and helps in preventing infection as well as reduce the pain of burn. Its cytophylactic properties promotes healing and also helps in reduce as well as prevent scarring. 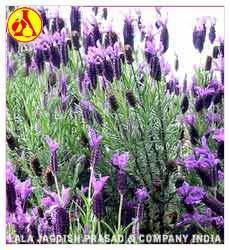 Our range of lavender green essential oil is extensively used in aromatherapy, massages, perfumes and cosmetics. They have therapeutic propeties, pleasant floral odor and are compatible with other essential oils. Blends well with: Bay, Bergamot, Chamomile, Citronella, Clary Sage, Geranium, Jasmine, Lemon, Mandarin, Orange, Palmarosa, Patchouli, Pine, Tangerine, Thyme, Rosemary, Rosewood, Ylang YlangLavender Green has been recognized as the most useful oil, with variegated uses in therapies. This essential oil is also used as an anticonvulsive, antiphlogistic, antidepressant, antispasmodic, antirheumatic, antseptic, bactericide, carminative, antiviral, cholagogue, cicatrisant, cytophylactic, cordial, decongestant, diuretic and deodorant. 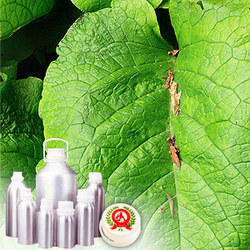 It is antiseptic and helps in preventing infection as well as reduce the pain of burn. Its cytophylactic properties promotes healing and also helps in reduce as well as prevent scarring. Our range of lavender green essential oil is extensively used in aromatherapy, massages, perfumes and cosmetics. They have therapeutic propeties, pleasant floral odor and are compatible with other essential oils. Deeply relaxing, Lotus Absolute has an uplifting, rejuvenating, stabilizing and relaxing effect. The stabilizing action of lotus helps dispel negative emotions and thoughts, helping to strengthen relationships. Our authentic Lotus (Pink) Absolute has been credited for numerous beneficial properties both physical and spiritual. Packing : Food Grade Silver Coated Alumunium Bottels And As Per Client Requirements.Deeply relaxing, Lotus Absolute has an uplifting, rejuvenating, stabilizing and relaxing effect. The stabilizing action of lotus helps dispel negative emotions and thoughts, helping to strengthen relationships. 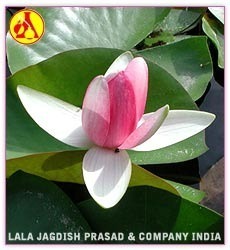 Our authentic Lotus (Pink) Absolute has been credited for numerous beneficial properties both physical and spiritual.